In the ongoing debate about roots and goals of al-Qaida and Fatah al-Islam in Lebanon, Itani makes some important points. Most importantly, he suggests that Fatah al-Islam was not a Syrian inspired organization, as many Israeli (Barry Rubin: The Truth about Syria) and March 14th analysts insist. The Salafist movement had its roots in pre-Syrian controled Lebanon; it was given a further boost by connections to the Syrian Muslim Brothers during the civil war in opposition to the Syrian regime, it saw itself in competition to the Hizbullah, Syria's main ally in Lebanon, and Zawahiri and other al-Qaida leaders claim it as their own. Last year the Lebanese army besieged the Palestinian camp of Nahr al-Bared, where a previously unknown organisation, Fatah al-Islam, was dug in. These events, like attacks on the UN Interim Force in Lebanon (UNIFIL) reflect the appearance of radical Sunni Islamist networks – some linked to al-Qaida, which is now treating Lebanon as a key base, says Fidaa Itani. Two days after the army gained control of the camp, on 4 September, the head of Lebanese military intelligence, Georges Khoury, acknowledged that the Fatah al-Islam combatants were members of al-Qaida. But the roots of the organisation in Lebanon reach deeper into the past. In the 1990s, Lebanese courts found Salafists guilty of forming terrorist cells linked to al-Qaida. The militants were Lebanese following the example of Salem al-Shahal, who started Lebanon’s first Muslimun (Muslim) and Shabab Muhammad (Youth of Muhammad) groups in Tripoli in 1974. Shahal tried to impose sharia in the city, starting by attempting to prevent young people going to the cinema. His influence spread to several Syrian towns, but at the time Salafist values lacked solid roots. In those days the Sunnis were middle class traders, shopkeepers and civil servants, or illiterate country people. They expressed their support for Arab nationalism and the Palestinian struggle by joining Nasserite or leftwing movements. However, several Sunni groups moved closer to radical Islamism after Syrian troops occupied Lebanon in 1976, bringing repression with them. At the same time the influence of the Syrian branch of the Muslim Brotherhood started to increase, threatening the regime in Damascus with armed incursions by its military wing. When the civil war in Lebanon ended in 1989, with the signature of the Taif accord, the Salafists, whose influence was still only limited, mainly targeted other Islamic organisations, al-Ahbash or the Association of Islamic Charitable Projects (AICP). These attacks were an opportunity for the Salafist groups to perfect their intellectual and missionary skills, recruiting in many towns and villages. They were particularly successful with middle-class graduates, as well as with students of theology who had been in Saudi Arabia and stayed in contact with radical ulema there. But the groups still lacked cohesion, the best known being al-Hidayah wal-Ihsan (Preaching and Charity), which was reorganised by the son of the movement’s founder, Dai al-Islam al-Shahal. On 31 August 1995, one of these groups assassinated Sheikh Nizar al-Halabi, the head of the AICP, and caused a stir. It was the first time that a Salafist group had eliminated an opponent. Members of the organisation confessed to committing the murder and persisted in taking exclusive responsibility to the end. However, the Lebanese authorities and Syrian intelligence (which controlled the country) chose to pin the crime on Abdul Karim al-Saadi (aka Abu Mahjen), the Palestinian leader of Asbat al-Ansar, which was based in the Ayn al-Hilwah refugee camp, near Saida in southern Lebanon. In 1999 the same group, originally formed by veterans from the war in Afghanistan, was blamed for the assassination of four judges in Saida central court. At this point links between the Salafists and al-Qaida started to develop. An organisation that was probably Chechen, and certainly connected to Bin Laden, asked Bassam Kanj (aka Abu Aisha) to help infiltrate Muslim combatants into Israel. In 1988, Kanj had given up his studies in the United States, and taken a crash course in global jihad in Afghanistan. Following the request from al-Qaida he set up the Dinniyeh organisation, but asked for two years’ grace to establish it as an anti-Israeli resistance force, alongside Hizbullah. In May 2000, Russian negotiators, who were supervising the Israeli withdrawal from South Lebanon with the Syrians, gave the Lebanese and Syrian authorities a recording of a conversation between Kanj and Chechen mujahideen, which led to a Lebanese army raid on Dinniyeh on New Year’s Eve 2001. At the same time the Syrian authorities, operating on the other side of the border, arrested radical Islamists, confirming the network’s trans-national nature. Al-Qaida waited till the US invasion of Iraq in March 2003, before openly calling for units to be set up in Lebanon. But al-Qaida also operates as a form of franchise, with a far from centralised organisation, leaving considerable freedom of movement to local units. It was well established by the end of 2005 when the Lebanese authorities first succeeded in catching the members of a network, subsequently referred to as the “Network of 13,” led by Hassan Nabaa, a Lebanese national. The group, which also comprised Saudis, Syrians, and Palestinians, supported al-Qaida and the Iraqi resistance movement, operating in Lebanon and Syria where it clashed on several occasions with the secret service, particularly in border zones. It is said to have shot down a Syrian helicopter. The arrests prompted a controversy because the prisoners’ confessions contained details of their involvement in the assassination of the former prime minister, Rafik Hariri, on 14 February 2005. But there is doubt about how the confessions were obtained, and the group’s alleged link with the young Palestinian Ahmad Abu Adas, who claimed responsibility for the suicide attack on Hariri in an earlier video recording. In Spring 2006, there was a split in Fatah al-Intifada, an organisation with close links to the Syrian regime that broke away from Yasser Arafat’s Fatah in 1983. About 70 of its members joined a Palestinian officer of Jordanian origin, Shaker al-Absi (Abu Ali), setting up Fatah al-Islam. The dissidents dispersed to Palestinian camps: Burj al-Barajneh (southern suburbs of Beirut), Ain al-Hilweh (Saida), Shatila (Beirut) and the two camps at Badawi and Nahr al-Bared, in the north. They were joined by some 50 militants led by Shehab al-Qaddur (Abu Hurayra), a Lebanese who spent most of his life undercover, after being arrested by the Syrians in Tripoli in 1986 when he was 14. From the outset Fatah al-Islam was supported by the jihadist representative at Ain al-Hilweh, with the assurance of al-Qaida funding. Meanwhile some of its members received training from the military leader of the Jund al-Sham group, also located at the camp. This organisation was started in Afghanistan in 1999 by jihadists from the countries of al-sham (Syria, Lebanon, Palestine and Jordan) and adopted a radical stance. In July 2006 the 33-day war between Israel and Hizbullah erupted. The jihadist groups took advantage of the confusion to extend their influence. They also made use of the decision by the Islamic state in Iraq (instituted by al-Qaida) to expel any elements lacking specialist military skills or unable to blend in with the local population. Fatah al-Islam attracted many of these lost soldiers, prompting a hostile response by Fatah and other groups belonging to the Palestinian Liberation Organisation, which wanted to “cleanse” the Ain al-Hilweh camp. The Lebanese army, which had just deployed in force to the south of Litani following the end of the fighting between Hizbullah and Israel, was worried about leaving these jihadists only a short distance from the 12,000 strong UN Interim Force in Lebanon (UNIFIL). Fatah al-Islam decided to take refuge in the north, an area with a Sunni majority, considered friendly. Several meetings paved the way for this move, not only with the local Salafists but also with members of parliament belonging to Saad Hariri’s Future Movement, concerned about Hizbullah’s growing influence. Al-Absi held talks with a Sunni MP from Tripoli, a doctor who once had leftwing sympathies and who expressed his fear that the Shia Hizbullah might turn on the Sunni. Al-Absi replied that, without entering into conflict with a force fighting Israel, he would not allow anyone to harm the Sunni. So Fatah al-Islam established itself at Nahr al-Bared, publishing its first statement on 27 November 2006. Meanwhile a large number of combatants connected to al-Qaida passed back and forth through Lebanon, either via the official crossing-points or illegally across the Syrian border. Some dispersed, after a brief stay at Nahr al-Bared, to set up their own networks in areas with a high proportion of Sunni inhabitants. Recent recruits have come from other Arab countries, but also from Russia, Chechnya and Turkey. At the end of 2006, Ahmad Tuwaijiri, a senior Saudi al-Qaida member, arrived in Lebanon. He met Fatah al-Islam leaders several times, as well as other Salafist groups. Funding flowed in, with public and private donations from Saudi Arabia and Kuwait offered by prosperous businessmen who want to help the jihad. The various Salafist organisations were also keen to regroup, the better to resist the Shia threat. The political crisis in Lebanon and occasional clashes between Sunni and Shia, and between supporters of the parliamentary majority and opposition, created a favourable context. The local members of al-Qaida took advantage of the Future Movement’s pressing need for militia to counterbalance Hizbullah. Although it appreciated the risks involved in dealing with fundamentalist factions, Hariri’s party nevertheless adopted this short-term expedient in its struggle with Hizbullah, Syria and Iran. Al-Qaida acted pragmatically, seizing the opportunity to raise funds to recruit dozens of additional combatants, organise more training sessions at Ain al-Hilweh, prepare plans for attacking UNIFIL in the south, and spy on the embassies of western and Gulf countries in Beirut. Syria opted to turn a blind eye to such activities, leaving its opponents in the Future Movement to suffer the consequences. Syria increased pressure at home, disposing of many militants who subsequently took refuge in Lebanon. In the first half of 2007, some 20 groups connected with al-Qaida were active, with visits by high-ranking operatives, the influx of combatants, and the departure of affiliated individuals for Europe (France, UK, Netherlands and Germany) once they had completed training. 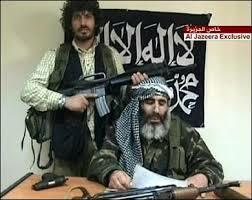 In partnership with Fatah al-Islam, al-Qaida set up a vast network that survived the fighting at Nahr al-Bared intact. It trafficked arms through Syria, purchased others from local dealers and seized PLO stockpiles at Nahr al-Bared. The situation flared on the night of 19 May, when an intelligence unit of the Internal Security Forces decided to raid an al-Qaida group in Tripoli’s al-Mitayn Street. The men, who were also wanted by the Saudis, were giving technical support to the Iraqi mujahideen. But they were operating under the protection of Fatah al-Islam. Fighting very quickly spread to the camp at Nahr al-Bared. The conflict lasted 106 days, claiming the lives of 170 soldiers, 47 Palestinian civilians and 200 Fatah al-Islam combatants. Although more than 150 leaders and members of the organisation managed to slip away, 40 combatants were killed during the last few days of fighting, most of them executed with a bullet in the back of the head. The army occupied a deserted camp and prevented any civilian or humanitarian organisations from gaining access, even banning photographs in the vicinity. Army bulldozers flattened buildings, covering up any trace of fighting. In June, a month after the fighting started, the Lebanese security forces discovered that Shahin was Saad bin Laden. He had managed to enter the camp a few days after the start of the battle and became popular with the combatants. The security forces had noticed his arrival in Lebanon a few months earlier. Saad, one of the most active leaders in the operations section of al-Qaida, had set up cells and support units all over Lebanon, in collaboration with al-Qaddur. Despite the military setback at Nahr al-Bared the Islamist groups linked to al-Qaida have not cut back their activities in Lebanon. They are at work in the Palestinian camp of Ain al-Hilweh, the predominantly Sunni Beka’a valley and poor quarters of Beirut. When I met Shahin six weeks after the start of the fighting, he asked: “Do you really believe that we only have the 500 combatants encircled in Nahr al-Bared?” The assassination of political leaders, and attacks in Beirut and against UNIFIL, attributed to Fatah al-Islam in an army press conference on 4 September, confirm the scale of the organisation in Lebanon. The intelligence service provided further proof, following the arrest of more than 200 members of the Salafist and jihadist movement. Commentators repeatedly ask why al-Qaida’s second-in-command, Ayman al-Zawahiri, never referred to the battle of Nahr al-Bared, simply blessing the 24 June attack on the Spanish contingent of the UNIFIL in the south. According to Shahin, al-Qaida was unhappy about becoming bogged down in the fighting inside the camp. It was also concerned at Fatah al-Islam’s political isolation, most of Lebanon’s political parties, including the Salafists, having withdrawn their support. The siege reduced al-Qaida’s margin for manoeuvre and prompted the army to carry out hundreds of raids and arrests. However, as the political crisis in Lebanon grinds on, prompting all the factions to arm and train their combatants, al-Qaida may be able to lurk in the shadow of the largest Sunni group, the Future Movement, which is hiring combatants under the cover of private security companies. Hariri’s organisation has so far assembled about 2,400 militia, and plans to recruit 14,000 more in northern Lebanon alone. But the siege of Nahr al-Bared convinced part of Lebanon’s Sunni elite that an alliance with al-Qaida came at too high a price. Exhausted by a local conflict with no prospect of a political solution, thousands of young Sunni envy the Shia, who have succeeded in monopolising resistance against Israel. They are pleased to see al-Qaida’s attacks in the West and its (albeit limited) success in Iraq. A new generation is returning to the mosques, drawn by Salafist and jihadist ideas, in the larger context of discredited Sunni authorities, including the Dar al-Ifta (a Sunni religious body), the Islamic solidarity funds and religious courts. These bodies are paying for their support for the Future Movement and for their corruption. There is a feeling of injustice and a lack of any hope of an issue to the conflict with Israel. Al-Qaida may play on both the fear of Shia and Hizbullah, the danger of the Sunni being sidelined, and on anti-US sentiment (whereas the government and official Sunni organisations are seen as Washington’s allies). Some think radical Islam holds the solution to these problems and are consequently prepared to follow al-Qaida. But al-Qaida — though not necessarily all the groups claiming its support — seems to be treating Lebanon primarily as a rear base, a training camp and secure staging post on the road between Europe and Iraq. It is a place for technical innovation, where the organisation can develop new resources: small, radio-controlled aircraft carrying 30 kilo charges, remote-controlled explosive devices that can withstand the jamming system deployed on US armoured vehicles in Iraq, and even software so that al-Qaida leaders worldwide can communicate over the net and coordinate activities undetected by local intelligence services and the US National Security Agency. Under these conditions, as Shahin explained, al-Qaida has nothing to gain from involving itself in Lebanon’s domestic strife. French version here (with four footnotes that are missing in this version). So the SR “opted to turn a blind eye to such activities, leaving its opponents in the Future Movement to suffer the consequences”; “turned a blind eye” means allowing the traffic of jihadists and/or their weapons, from Irak to Lebanon, and from Syria to Lebanon. Additionally the SR “increased pressure at home, disposing of many militants who subsequently took refuge in Lebanon”; so when “disposing of many militants”, the SR did neither kill them nor jail them: it exported them to Lebanon. – the SR creates islamist violence, not only by exterminating jihadist sunnis in Hama, but also by the very fact of maintaining a minoritarian non Sunni power, and, last, by maintaining an economic system that brings misery to poor classes thus breeding violence. – Once created the violence is not resolved, absent a democratic system for negotiating compromises; it is repressed, and exported to Lebanon. The Syrian regime is not the only dictatorship around the Arab World nor can it be considered to be the only regime to have dealt with Islamic extremists. Let’s not forget that KSA had a major role in creating Islamic extremism and exporting it to the entire region, with the blessing of the US. To ignore all the history surrounding fanatical wahhabi extremism and pin the entire blame for the jihadi phenomenon on the Syrian regime is ludicrous to say the least. I believe all regimes and political sides across the middle east have used less than moral methods to achieve their goals and employed extremist factions to do their bidding. In fact, even the US and European countries have done the same, so to now pretend as if the Syrian regime is the sole evil side in this region with all other states suffering from its evilness has no basis in fact. … that’s much more than the number of comments by the average contributor to this forum, it should be enough. So try to use them when you have something relevant to you as an Israeli right wing extremist… Not to attack others while pretending you are a defender of Syrian and Lebanese rights and freedoms. If we have a topic that is related directly to you … as in Syrian Israeli peace or an article on Israel’s strike on Syria .. then you can contribute as much as you want as long as you are discussing that topic and not picking fights with others. Few weeks ago you and Simohurrta got engaged in endless discussions and I asked both of you to try to please slow down. Simo slowed down too much! (one comment per month?) … you are still flooding every single post with aggressive comments. What does that say about you? … remember that Simo did not bother anyone here ( …except you) .. whereas you offended and attacked the majority of people on this forum … in order to “gain you” we lost many others. Thank you for posting this. The evidence about al-Qaida’s “franchise operation” in Lebanon continues to grow, and it is alarming to say the least. If Lebanon is a “rear base” for al-Qaida missions against the U.S. in Iraq, and eventually against Israel, and if it has “nothing to gain” from getting involved in domestic strife, let alone promoting it, then should we question its involvement in the assassinations of Lebanese politicians? Obviously, groups that declare allegiance to al-Qaida can choose to ignore certain edicts, but if the funding is flowing to al-Qaida in Lebanon with the express purpose of training militants for export abroad, then it would seem counter-productive, as “Shahin” (aka OBL Jr.) suggested, to target M14 politicians. I agree with your posts, however, the KSA does not provide arms to jihadist groups, nor do they allow arms to flow across their borders. Lastly, they do not allow militant groups to attack neighboring countries from within their borders. They don’t stand for it, and they’re pretty strict about it. That’s about the best I can say about them. The SR is totally different. It does not have relations with the US and no real markets. Syria prefers to support extremists in order to deflect attention. Syria (like Arafat) prefers constant conflict as a way of deflecting failed policies at home to external enemies. This way they have an excuse for abusing and controlling Syrian society. Meanwhile all the cards these governments hold are a small group of murderers and misfits. Not much to trade for. Egypt and Jordan, not Syria is where Hamas gets its weapons … Iran and the rich gulf Arabs give Money to Hamas. Syria (or the Syrian Regime, as you prefer to think of Syria) … will support the Palestinians … haven’t you noticed so far that almost all Syrians here over the past two years want their “SR” to continue supporting the Palestinians … politically and diplomatically! … not sending weapons to Hamas. Your problem is with the Syrian people … Christians, Muslim fundamentalists, atheists, secular … almost all want their SR to help the Palestinians. By the way … the Saudis might not directly send weapons .. their wahabi contributions have sustained those who are violent more than anyone else … do you want to ignore that? What makes you so sure that Saudi Arabia does not arm wahhabi Jihadists or provide them with funding? The fact is that none of us know exactly how these Jihadists are getting their arms and how they are infiltrating other countries; we merely listen to political discourse and base our positions on what our own political viewpoint is. But accusations and attacks for political reasons do not constitute actual evidence of anything. Just like when M14 political figures consistently accuse Syria of perpetrating the bombings and assassinations plaguing Lebanon it does not translate into actual evidence of Syrian involvement. However, all that doesn’t matter as the various political sides will build their positions depending on which side they support with very little regard for the facts on the ground. Not too long ago, a US military report alleged that over 60% of foreign fighters in Iraq come directly from Saudi Arabia. Later, that report was amended and revised, apparently for political reasons, as the preferred accused is always Syria, not KSA. I happen to be very skeptical when I read or hear any report about al-Qaeda, as I still believe that the nature of this organization and its operational capacity remain large mysteries. The bottom line is that none of us in the general public knows anything about this phenomenon, but the politicians have been really good at using this issue to brainwash people, incite them, and cause fear amongst them. The actual truth has not come out and probably will not come out for a very long time, if ever. Assuming that it is true, what is wrong with Syria’s leadership arming Jihadists and using them to further its interests? Isn’t this what the game of geopolitics all about? Let us not forget who did the best job in arming Jihadists and using them to kill infidels. The United States! …. they relied on help from the Saudis, the Pakistanis, and the Egyptians to teach (THE Madrassas, Akbar) young Muslims the beauty of Jihad against the infidels … the Russians occupying Afghanistan in that case. Yes, I am aware that Hamas smuggles weapons in from the Sinai through a tunnel network. There was also the 40 ton shipment Israel once caught Arafat with. I think it was from Iran. … haven’t you noticed so far that almost all Syrians here over the past two years want their “SR” to continue supporting the Palestinians … politically and diplomatically! Supporting the Palestinians is fine. Europe and the US support the Palestinians too. Supporting terrorists either by supplying weapons, money for weapons, or terrorist training is something completely different. No. Not at all. My answer to that is the electric car. What makes you so sure that Saudi Arabia does not arm wahhabi Jihadists or provide them with funding? Like most people here, I tend to scour the web for ME news. I do not ever recall seeing an article showing that Saudi Arabian weapons are being shipped to terror organizations. Back when the “neocons” had a bit more power in the administration, more pressure was applied to the KSA regarding their human rights record, their support (money) of jihadists, etc. Oh well…those were the good ‘ol days! The US helped muslims in Afghanistan and in Bosnia. Israel at one time supported Hamas. The hope was that by doing a favor for the Muslim world, it might pay off later, create a friendship, and foment mutual respect. Akbar is always right. He gets all of his facts from fair and balanced sources like Fox News and the Vice President’s office. They never lie. Akbar is always right. He gets all of his facts from fair and balanced sources like Fox News and the Vice President’s office. No. Actually most of my sources are from respected news sources. I love this. So amusing. Israel supported Hamas because they wanted to create a friendship and foment mutual respect…with an organization that from its very founding was dedicated to the destruction of Israel. I take it you have never read Sun Tzu? The Free World is safe.